In 2015, the Community Foundation of Middlesex County honored Arthur Director and Willard McRae as the recipients of the Sherry and Herb Clark Beacon of Philanthropy Award. The Sherry and Herb Clark Beacon of Philanthropy Award was established in 2012 and named in honor of the first recipients, Sherry and Herb Clark. The Sherry and Herb Clark Beacon of Philanthropy Award is presented to individuals who demonstrate exceptional generosity through outstanding civic and charitable activities, and whose leadership encourages others to actively participate in philanthropic and community service roles. In 2015, the Community Foundation of Middlesex County and its Council of Business Partners awarded the first Bully-Free Communities Spotlight Award to Chester Elementary School and Woodrow Wilson Middle School of Middletown. The Bully-Free Communities Spotlight Award is presented to Middlesex County schools that encourage students, faculty and staff to stand together for change and stand up to mean-spirited behavior. In 2015 we pooled our resources to support the community where we live, work, and play, and TOGETHER your incredible generosity enabled the Community Foundation to award 293 grants totaling $721,162 to our nonprofit partners. Over the years, what began as a small, grass-roots effort has become a major investment in the community. In fact, by pooling resources, we have invested more than $4.7 million through 1,564 grants to help our community flourish. Donations continue to come from numerous sources and of varying sizes, proving again that it is not the size of a single gift that makes the difference, but the generosity of a community giving together for the benefit of all that matters. We have a mantra…Live Local, Give Local….and, because of you, extraordinary things are possible. Thanks to you, donors realized their passions, shared their visions, and established 11 new funds which will benefit our community today and for generations. This brings the total to a record 173 funds established by wonderful people and businesses who understand powerful things can and will happen for our neighbors when we combine our time, talent and resources. In 2014 when a family in Killingworth lost their home in a fire, once again you were there to support the community’s services that would help the family. You asked, “how can we do more?” CFMC answered with the Neighbor Helping Neighbor Fund. This fund provides a place for friends and neighbors to come to the aid of those local organizations that respond so readily when needed – volunteer firefighters, health providers, organizations providing shelter, food and basic needs. In 2014, CFMC launched new infographic to illustrate how we help “Good People Do Great Things”, check out the infographic here. In 2014, we were reminded of how a Grant Can Become Something More, a grant from the Sari A. Rosenbaum Fund for Women and Girls made it possible for Maria, a domestic abuse survivor, to have an artist mentor her as she explored her own talents and gifts. Sari Rosenbaum was a presence in the lives of all who knew her, and in the lives of those who did not. She believed in community, in the power of a community to create beauty and friendship, to support its members, and to establish a legacy for generations to come through the good works individuals do every day. Through art these two women’s lives were linked. Click here to see the portrait Maria painted of Sari Rosenbaum, you can donate to the fund by going here. In 2014, the Community Foundation of Middlesex County and its Council of Business Partners (CBP) in collaboration with RUSHFORD, the Connecticut Association of Schools, The First Tee of Connecticut, EMPOWER, LiveKind, Donny Marshall, Elizabeth Shulman, LMFT, and iCRV Radio held their first Bully Free Rally Day. CFMC and the CBP invited all Middlesex County educators, town officials, civic leaders, business owners, residents and workers to stand together for change and take a pledge to stand up to bullying and all mean-spirited behavior. To find out more about the event visit the NO Bully Zone website. To donate to the campaign visits the Council of Business Partners Fund. In 2014 alone, your extraordinary generosity enabled the Community Foundation to award 202 grants totaling $656,848 to nonprofits working in our community. Together, you demonstrated beyond a doubt that you care, ensuring that: residents of all ages can explore their artistic imaginations; local history will be preserved for generations to come; natural spaces are areas of not only conservation, but also recreation and education; people have safe havens in times of adversity; and much more. Together we can do great things. Thanks to you, donors realized their passions, shared their visions, and established eleven (11) new funds which will benefit our community today and for generations. This brings the total to a record 165 funds established by wonderful people and businesses who understand powerful things can and will happen for our neighbors when we combine our time, talent and resources. The Finance and Investment Committee, under the direction of the Board of Directors, is comprised of committed individuals experienced in fiscal matters who take their fiduciary responsibilities very seriously. Through the capable leadership of our Board of Directors and the knowledgeable oversight of our Finance and Investment Committee, the Community Foundation’s endowment continued to grow. By December 31, 2014, our pooled assets increased to $12.2 million, thus providing more opportunities to support the programs and services impacting Middlesex County. In 2013, the Community Foundation was awarded the 2013 Arts Advocacy award from the Middletown Commission on the Arts. CFMC was proud to accept the award on behalf of the individuals, businesses, and organizations who work tirelessly in the Middlesex County community to promote and sustain the arts. Thanks to the commitment and dedication of so many, the Community Foundation is able to pool community resources and leverage our collective strengths, passions, and funds for the betterment of our community. In 2013 you invested a humbling $1.78 million in new gifts and pledges, making this the seventh year in a row we’ve achieved $1 million or more to help Middlesex County — today and forever. You established nine (9) new funds in 2013 bringing our total number of funds to 154. Each fund is as unique as the individual and will ensure the well-being of our friends and neighbors now and well into the future. A record $582,109 was invested in the community in 2013 through grants to nonprofits, bringing the total investment to our region to more than $3.3 Million. We welcomed 537 new invested donors, friends, and colleagues, who join you in improving the quality of life for all in Middlesex County. You demonstrate by generous gifts that Philanthropy Works. Philanthropy Matters. In 2012, we celebrated 15 years of Helping Good People Do Great Things in Middlesex County. We announced our first Philanthropic Award this year, presenting it to Herb and Sherry Clark at the 15th anniversary party. This award recognizes Herb and Sherry for their exceptional generosity and outstanding civic and charitable activities. Their leadership encourages others to actively participate in philanthropic and community service roles. In their honor, the award will be named the Sherry and Herb Clark Beacon of Philanthropy Award. In 2012, the generosity and compassion of a 10-year old girl, Leah Wysock, exemplified how anyone, at any age, can be a Philanthropist. Leah’s note from Christmas 2012 is why all of us at the Community Foundation are honored to work with so many of you who wish to help, give back and have a positive impact. Leah donated her Holiday money to Avery’s Fund and formed a special bond with Avery. Avery’s Fund is a fund that was created by the parents of Avery Rose in her honor. The Avery Fund supports the research into the cause and a cure for a rare disease called CDKL5. Go here to read the letter Leah included with her donation. To can give a donation to the Avery Fund here. You invested a record amount in new gifts and pledges as we embarked on our “Grow the Foundation” initiative under the guidance of chairman Marcia Kalayjian and the Board of Directors. This campaign generated over $3.8 million in gifts, pledges, and planned gifts for the benefit of all in Middlesex County. Sixteen (16) new funds were created in 2012 – each as unique as the individual investor – benefiting our friends and neighbors now and well into the future. Together, they will improve the quality of life of those in our community. This brings our funds to a total 146. A record of $537,000 was invested in the community in 2012 through grants to non-profit organizations. Thank You for investing in Middlesex County, for 15 years — you have given more, done more and helped more in our community. We welcomed 440 new investors, friends and colleagues who joined you in improving the quality of life for all in Middlesex County. You all demonstrate by your generous gifts that Philanthropy Matters. Philanthropy Works. Working with an outstanding committee of volunteers, the Community Foundation unveiled a new look, new logo and a new website at its 15th anniversary party in November. In 2011, friends and neighbors joined together to form the newest giving movement, LIVE LOCAL GIVE LOCAL 365. Donate $1 a day for 365 days and you have $365. Gather a group of 10 individuals and it grows to $3,650 proving that a dollar a day can, indeed, accomplish a great deal. The 20 founding members of this giving circle raised $10,000 in six months and reinvested in the community through five grants to worthy nonprofit organizations. The Community Foundation is one year away from its celebrating its 15th anniversary and to mark this momentous milestone, the Board of Directors has established the 15th Anniversary Endowed Unrestricted Fund. The Community Foundation’s endowment grows to over $7 million, an exciting benchmark, made possible by the continued support of generous donors and stewardship of our Board of Directors and its Finance and Investment Committee. 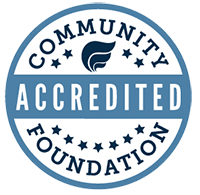 By the end of 2011, the Community Foundation experienced a twenty -five percent increase over 2010 in new gifts and new pledges and a twenty-four increase over 2010 in grants approved for nonprofits working in the community. Middlesex County Community Foundation was recognized as “Connecticut’s Outstanding Foundation of the Year” by the Association of Fundraising Professionals, underscoring our belief that “Everyone Can Be A Philanthropist” and that “Philanthropy Does Indeed Matter” and “Philanthropy Works”. MCCF awarded $319,000 in grants to expand transportation services for underinsured elderly and infirm patients, educate and engage girls in math and science fields, preserve the lifecycle of osprey families living on the Connecticut River and much more. This year generous donors created nine new funds at the Community Foundation including Avery’s Fund which was established to bring attention to the rare disease CDKL5 and aid in the research for its cure. A LIVE LOCAL GIVE LOCAL fund was established to remind all that COMMUNITY matters. The Community is where we work, where we play, where we raise our children, where we call home. Our Community has given us so much and it is our responsibility to give back and support local businesses and services to ensure their survival. 100% of the proceeds are donated to local nonprofits. In the fall of 2009, the Middlesex County Community Foundation worked with a group of local business leaders who wanted to give back to the community and created the Council of Business Partners (CBP) Fund. Their first project, the “No Bully Zone” initiative, uses the knowledge of Rushford Center and the Council’s financial resources and business contacts to provide a program that utilizes peer leaders to educate other students and work with the school community to develop a safe learning environment for everyone. Planned gifts grew to $13.3 million as seven individuals added their names to The Legacy Society; over $1 million in gifts and pledges were contributed by generous donors for the third consecutive year; 68 individuals joined The President’s Society through donations of $1,000 or more for operations; and fourteen donors established new funds to benefit nonprofit organizations. The Middlesex County Community Foundation launched the Middlesex County Nonprofit Resource Center with the aid of the Liberty Bank Foundation. In its first year, The Nonprofit Resource Center provided free monthly seminars and workshops to over 400 non profit leaders and volunteers on such topics as strategic planning, financial management and communications – just to name a few. In 2008 record grants of over $240,000 assisted 60 nonprofits organizations, bringing the total dollars put to work for the community to over $1.3 million since the founding of the Middlesex County Community Foundation. Bestselling author and television series creator, Amy Bloom, commanded the stage at a sold-out benefit evening at the Riverhouse at Goodspeed Landing on November 10th. “In Full Bloom”: A Conversation with Amy Bloom, raised over $12,000 to help for the endowed fund for Women & Girls and provide funds for grant making. K. Gronbach & Associates, Inc.
Joyce and Robert L. Kirkpatrick, Jr.
Wm. R. Peterson Oil Co. Inc.